Position: Professor of the Department “Industrial Transport” them. prof. A.N. Daniyarova. 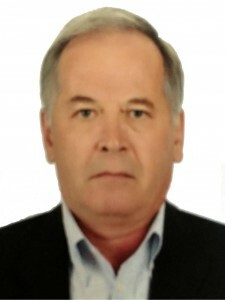 Biography: Upon graduation in 1980, with honors, the Karaganda Polytechnic Institute with a degree in Industrial Transport worked in various positions at the Karaganda Polytechnic Institute and the NGO Soyuzspetsfundamentstroy. In 1982 he entered the correspondence postgraduate school of the Moscow Engineering and Construction Institute, from which he graduated with a doctoral thesis in the specialty 05.05.04 “Road, construction and hoisting-and-transport machines” in 1988 under the direction of ICT. tech. sciences, prof. Weinson A.A.
From 1992 to the present, she has been teaching various academic disciplines at the “Industrial Transport” department at KSTU. In 2006, he entered the KSTU doctoral program in the specialty 05.05.04 “Road, construction and elevating transport vehicles”, and in 2008 he defended his thesis for the degree of Doctor of Technical Sciences (scientific consultant prof. Kadyrov AS). He published 65 scientific papers, 4 of them are monographs, one textbook, and has 3 copyright certificates for inventions.